Dr. Alaa El-Hussuna obtained his medical degree in Baghdad-Iraq in 1996, his surgical specialization in Copenhagen-Denmark in 2013, master degree in information technology from IT University, Copenhagen- Denmark in 2003 and Ph.D in surgery Aalborg-Denmark 2018. Dr. El-Hussuna led many national and international research projects. He is the lead of first open source research project in medicine and surgery. The #OpenSourceResearch has attracted thousands of interactions from the 5 continents with contributions from 40 scientists. “IBDResponse” project involved two universities, 9 departments in 3 hospitals in addition to 2 laboratories with a competitive budget of more than 100.000 euro. 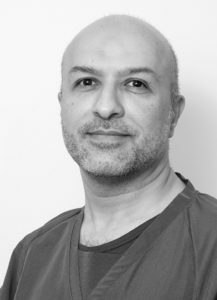 Dr. El-Hussuna led the European society of coloproctology prospective audit in 2017 with the participation of more than 1700 collaborators from 360 hospitals in 57 countries around the world.